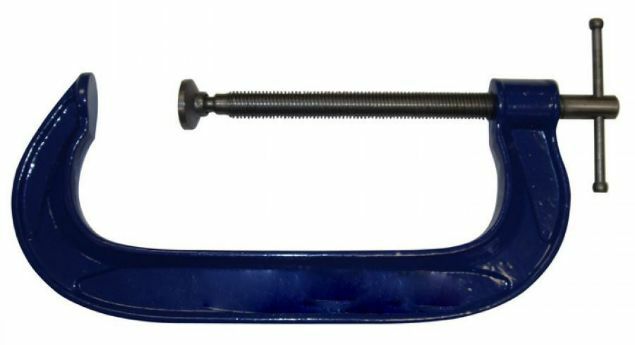 The G-clamp is used to secure workpieces to a bench or a template during an assembly. 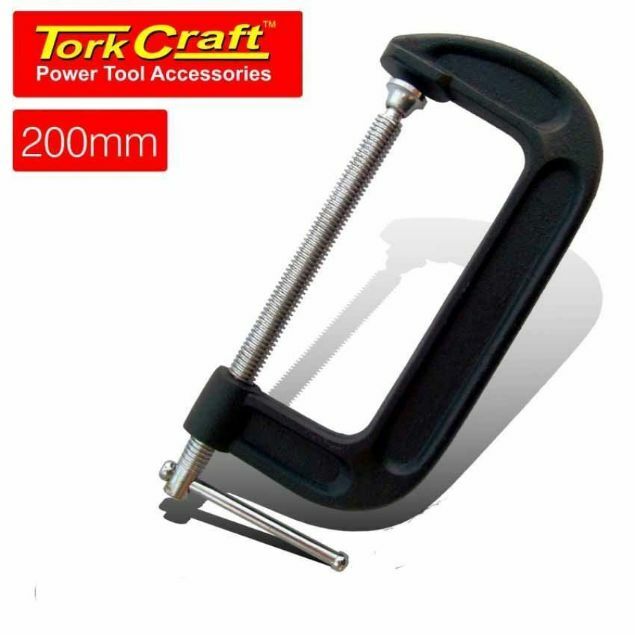 It can also be used in woodwork projects to glue/join pieces of wood. 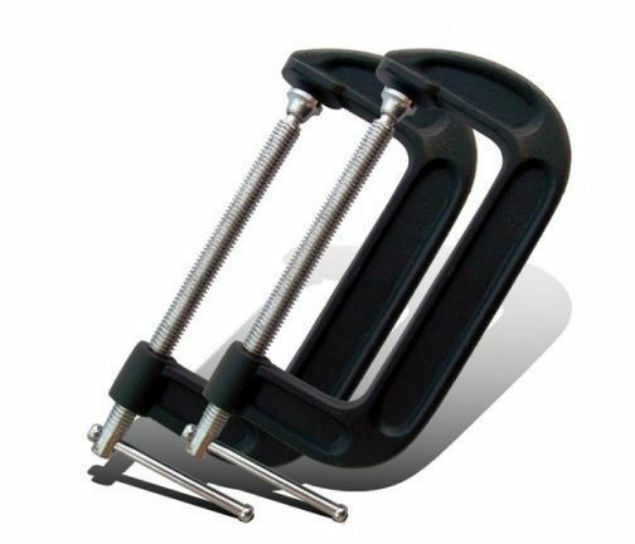 G-clamps are extremely strong, thanks to the malleable cast iron construction and the strong threaded spindle.